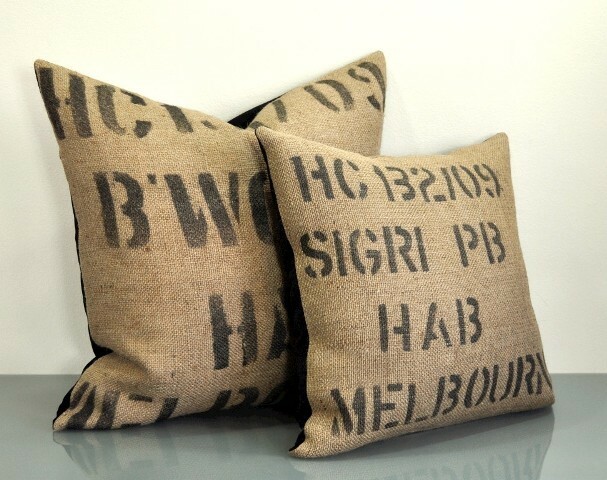 HAB is the marriage of sumptuous sensuously soft velvet and brutishly rugged repurposed burlap sacks which were once used to transport green coffee beans all over the world. The fusion of luxurious black velvet and durable burlap has resulted in a truly unique and exquisite feature cushion. For added strength and stability, cushions are fully interfaced and feature an invisible zipper along the bottom seam for easy insert removal. Pillow measures 16" x 16" (40cm x 40cm). Cork Cuff by Studio 1a.m.